While Guillermo del Toro may have left the Justice League Dark film project behind, he did leave it with a script draft that made Warner Bros excited enough to move forward without him in the director's chair. A new rumor from Latino Review says the production is zeroing in on two members of the cast, which will feature Etrigan, Zatanna, Swamp Thing, Constantine, and Deadman. While some fans may want Matt Ryan to jump into the role he played ably on TV, the rumor says that Colin Farrell and Ewan McGregor have both been approached by Warner Bros about the role, with the former the "frontrunner." There's also a reported possibility that if one of them gets Constantine, the other will be offered Jason Blood, the Demon Etrigan's human host. 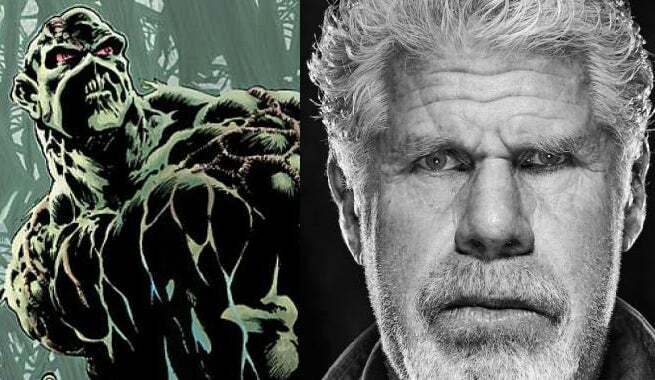 Friend and collaborator of del Toro, Ron Perlman, meanwhile, was his suggestion for Swamp Thing, and WB is pursuing him for the role. Other rumors point to Monica Belluci coming in as near-immortal magician and sage Madame Xanadu, and that they're looking to diversify Zatanna with a black or hispanic actress. No new director or official timeline has been assigned to the film, so all of this is with heavy grains of salt. Still, with the buzz building on Suicide Squad, a similarly dark band of misfits with at least one mystical element, it could get pushed into high gear sooner than later.